'Bad Lip Reading' again creates a fantastical clip mocking something so revered in pop culture: cult TV! And not just any show; this time, it's 'Game Of Thrones' geting the treatment. They have taken this now-iconic HBO TV brilliance and turned it into a kinda comedy for teenagers about opening an amusement park. 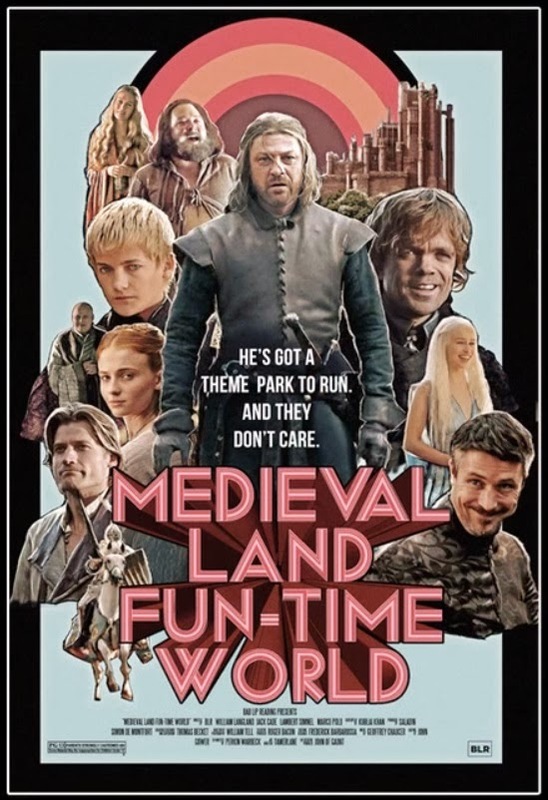 Presenting 'Medieval Land Fun-Time World'. It's LOL-stuff. Can you imagine how many hours this took the bad lip-readers to do? For more 'Bad Lip Reading' clips, click here and here and here this one on One Direction and this one on Edward and Bella.